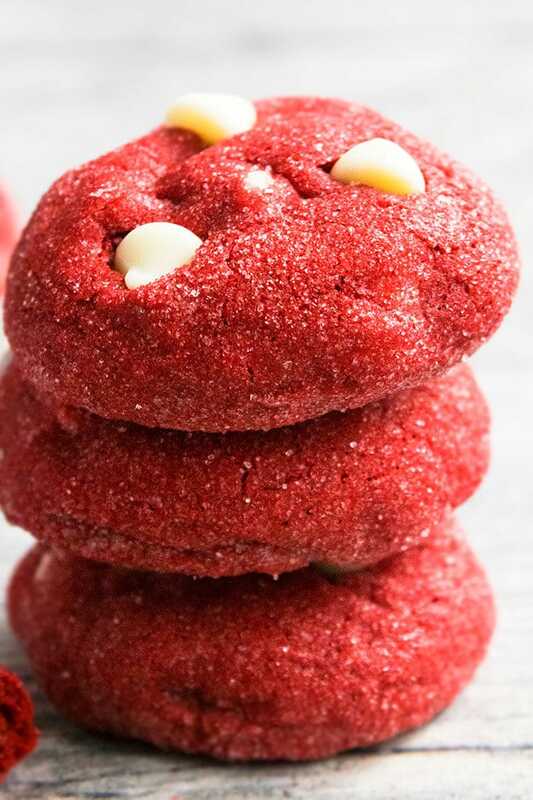 Quick and easy red velvet cookies recipe, made with 5 simple ingredients. Starts off with cake mix, soft and chewy, loaded with white chocolate chips. 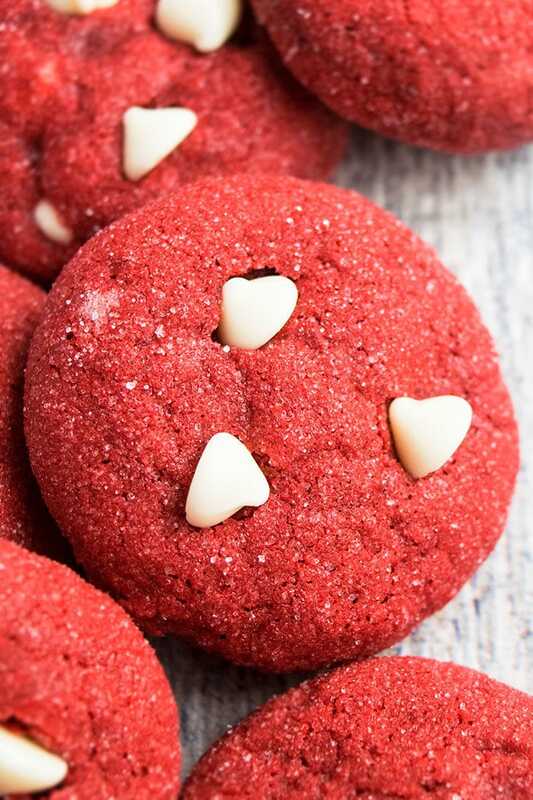 These classic cookies are perfect for Valentine’s Day, Mother’s Day or even Christmas. 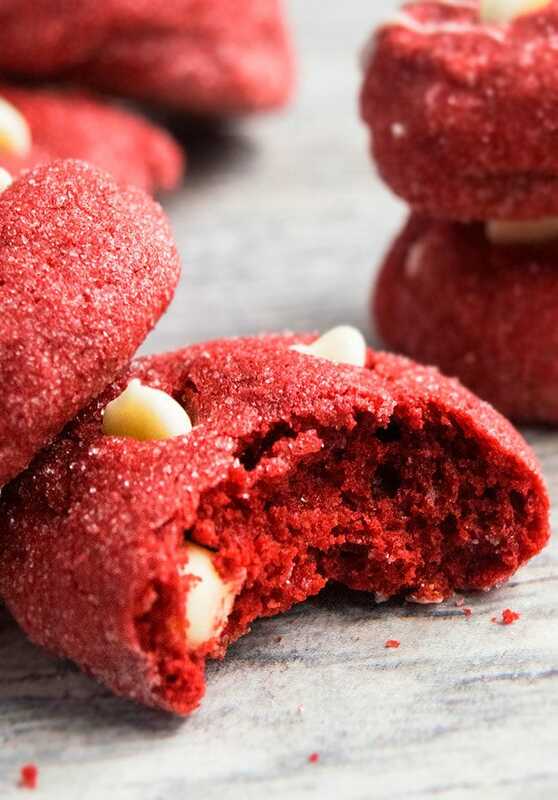 They are so vibrant and red, just like these Red Velvet Truffles and this Moist Red Velvet Cake and these Red Velvet Crinkle Cookies. These cookies are thick, soft, chewy and truly the best! 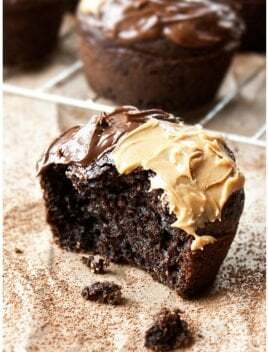 You can obviously make them from scratch but this doctored cake mix recipe is much easier and tastes just as good, if not better, with less work and mess. 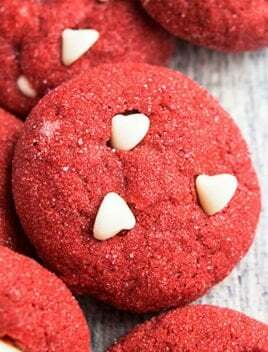 How to make red velvet cookies/ Red velvet cake mix cookies? Mix together eggs and oil. Roll in granulated sugar (optional). You must chill the dough to make it easier to handle or else the cookie dough would be too sticky to form balls and cookies will also end up spreading while baking. Don’t over-mix the dough because that alters the texture and makes tough cookies. The brand of cake mix does not matter. I have tested this recipe with pillsbury, Betty Crocker and Duncan Hines and it worked well with all three. Don’t replace oil with butter because butter makes the cookies too dense. 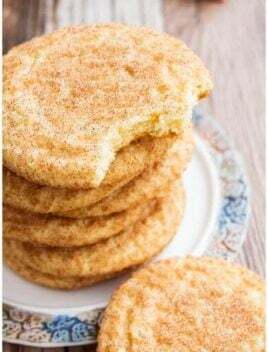 Rolling in sugar is optional but I recommend it since it gives these cookies a wonderful crunchy exterior but soft and chewy center. You can roll smaller cookie balls and then, this recipe would yield about 24-25 cookies. Freeze unbaked cookie dough balls for up to 1 month in sealed freezer bags to bake and enjoy later. Baked cookies can also be frozen in sealed freezer bags, if they were NOT rolled in sugar. Let them thaw at room temperature. Stir in semisweet chocolate chips for a different flavor although I think they taste best with white chocolate chips. Add-ins such as chopped nuts or mini marshmallows also work well. 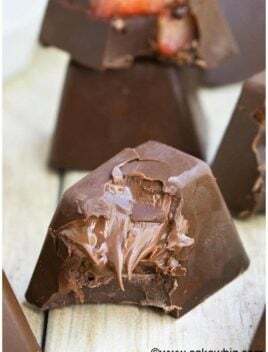 Once the cookies cool down completely, dip them in melted chocolate and toss some red sprinkles to make them more festive, especially for Valentine’s Day. Instead of dipping, drizzle melted white chocolate on top of the cookies. You can also dip cookies in melted white chocolate and toss chopped candy canes, making them perfect for Christmas parties and cookie exchange. Instead or red velvet cake mix, any other flavor of cake mix can be used. 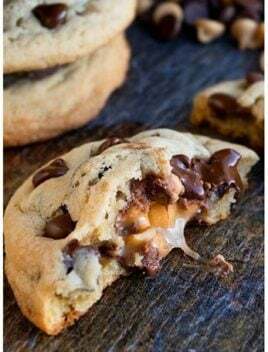 Make stuffed cookies by stuffing each cookie with a Rolo candy or caramel or chocolate Kisses. These cookies would be bigger and the recipe would yield about 10-12 big cookies. 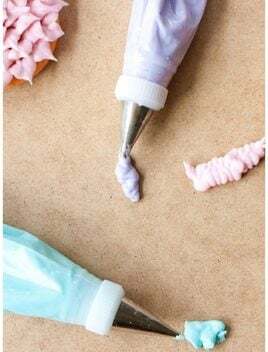 Instead of rolling cookie dough balls in granulated sugar, you can roll them in powdered sugar for a snowball effect or even roll them in sprinkles. Make cookie sandwiches by filling with American Buttercream Frosting. In a large mixing bowl, add oil and eggs and mix until fluffy. Add cake mix and mix until just combined. Chill dough for 20-30 minutes to make it easier to handle. Scoop out small portions of the dough and form small balls. Optional: Roll balls in sugar. Bake at 350 degrees for 10-12 minutes or until edges are firm but center is slightly soft. As soon as you remove cookies from the oven, push a few chocolate chips on top, before they cool down, for a nicer appearance. Enjoy! 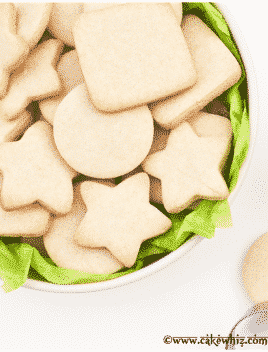 Leftovers can be stored in a cookie jar at room temperature for up to 3 days.